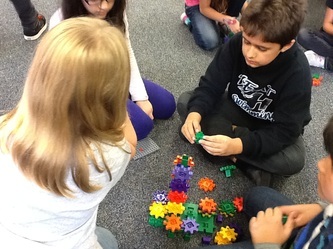 Third graders have been exploring deeply the concepts of multiplication and division. As a way to enhance students' understanding and develop their mathematical practices and communication skills, third graders explored showing the same multiplication problem in four different ways. A problem like 4 x 3 = 12 can be understood, solved and shown in many different ways including: loops and groups, arrays, area model, commutative property, contextualizing (in a story), jumps on a number line, and repeated addition. Having this large menu of choices allows students to find a strategy that makes sense to them. Students explored these concepts in the Creativity Studio and in the classroom. 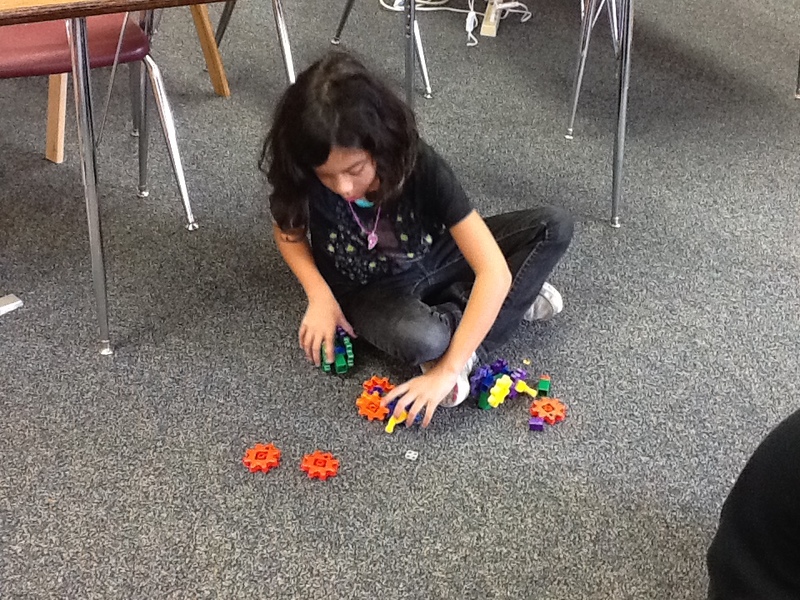 They used materials like beads, beans, stickers, stamps, and blocks to show their mathematical thinking. 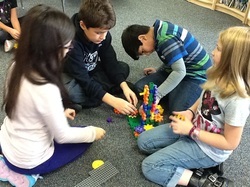 Mrs. Rice's third graders used materials in the Creativity Studio as part of an arts integrated physics unit. On their first visit to the Studio, students used individual gears and collaborated in teams to create a bigger machine.